Higher capacities and faster charge times! Samsung's Advanced Institute of Technology (SAIT) has created a new battery type, utilising a new battery material that they call "Graphene Ball" to increase the capacity and charging times of Lithium Ion batteries by 45% and 500% respectively. With the evolution of electric cars and the releasing of increasingly powerful mobile phones, we are already seeing that both battery capacity and recharge times are becoming a limiting factor when creating new technologies. If the humble battery can be improved electric cars could offer increases ranges, and mobile phones could feasibly last for longer than a day without a recharge. In their research, Samsung also found that these new batteries were able to maintain a stable temperature of 60 degrees Celsius, which is a must when using power cells within high-power loads like in electric vehicles. To create this new material, SAIT discovered a way to synthesize graphene en masse into a 3D "ball" form using silica (SiO2). This substance can then be used as a protective layer for the anode and cathode of a battery, allowing for the creation of higher capacity, fast charging batteries without stability issues or an incredibly short lifespan. Our research enables mass synthesis of multifunctional composite material graphene at an affordable price. At the same time, we were able to considerably enhance the capabilities of lithium-ion batteries in an environment where the markets for mobile devices and electric vehicles is growing rapidly. Our commitment is to continuously explore and develop secondary battery technology in light of these trends. Samsung has already patented this new technology in the US and South Korea, making Samsung a potential leader when it comes to battery technology in the future, provided the company has no more battery related controversies. You can join the discussion on Samsung's Graphene Ball battery technology on the OC3D Forums. 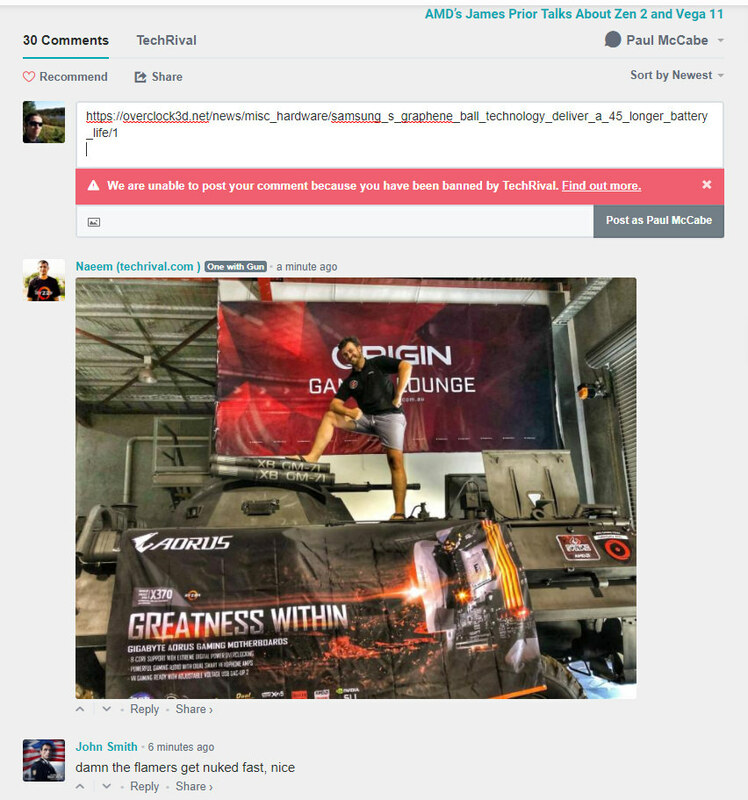 So I commented about stealing the article and I got banned! Go figure, bloody scum. Maybe I'm a little blind but I can only see the quote from the guy at Samsung and the end paragraph about Samsung patenting, The rest is completely different.